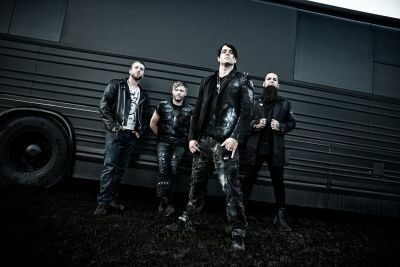 Forging enduring classics that motivate the masses has been the Holy Grail for bands throughout time, in an interview with Brad Walst, co-founder and bassist of Three Days Grace, Soundsphere uncovers the secrets to inspiring fans and producing the melodic gift that keeps on giving. S] How does it feel to be back in the UK? S] How do you feel that you’ve changed personally through the music that you’ve made with Three Days Grace? S] What kind of things outside of music inspires you? S] In terms of painkiller, what inspired and motivated that track? S] Was it something you always wanted to do, to inspire fans to push through any difficult times they were going through? S] Would you say that ‘Painkiller’ is a good indication for fans of the future direction of where you guys are going? S] How has the band dynamic changed and developed over the years? S] How do you look back on the success of those older tunes with your new album coming out? B] “Over the last couple of years we’ve noticed almost a generation change, we’re seeing kids out there again, anywhere from ten years to seventeen years old and we’ve always had kids come out but it seems like there’s more and more and I think it’s almost a think where their parents have passed down Three Days Grace, they all relate to these songs, be they six, seven or eight years old and it’s pretty amazing to look back and think that these songs are still relevant with these kids. They come out and they know every word, it’s surreal. Every night we look out and they never fail to amaze me, that’s for sure. S] Given that the band has become a role model for certain fans, what is the best piece of advice that you’ve ever received? S] What is your attitude towards Spotify and digital platforms?